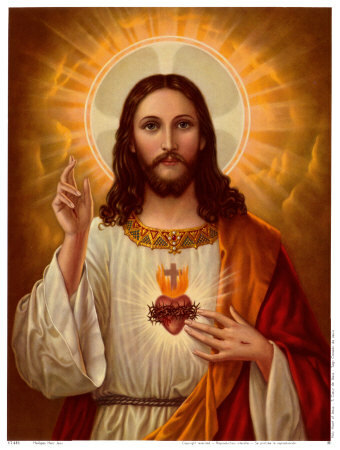 Jesus of Nazareth 7-2 BC-BCE to 30-36 AD-CE, commonly referred to as Jesus Christ or simply as Jesus or Christ, is the central figure of Christianity. 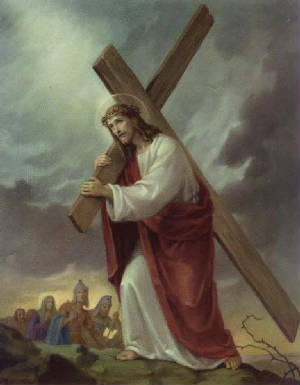 Most Christian denominations venerate him as God the Son incarnated and believe that he rose from the dead after being crucified. 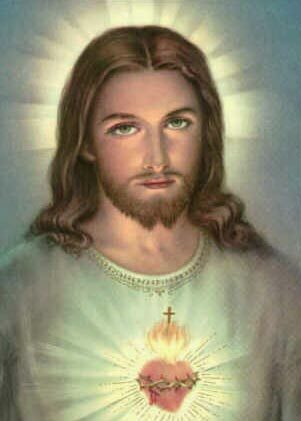 The principal sources of information regarding Jesus are the four canonical gospels, these outline the key beliefs held by Christian about Jesus, including his divinity, humanity, and earthly life. Generally speaking, adhering to the Christian faith requires a belief that Jesus is the Son of God and the Messiah or Christ. 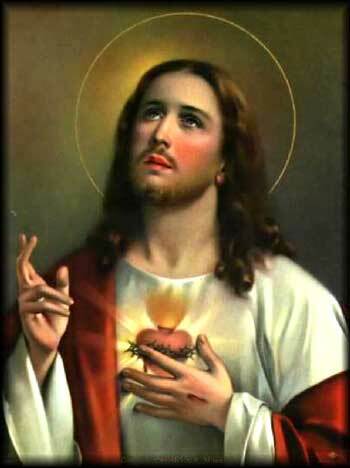 Jesus refers to himself as the Son of God in the New Testament. 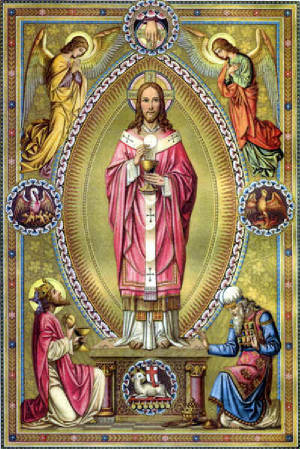 Christ is the English term for the Greek Χριστoς (Khristos) meaning "the anointed one". It is a translation of the Hebrew (Masiah), usually transliterated into English as Messiah or Mashiach. 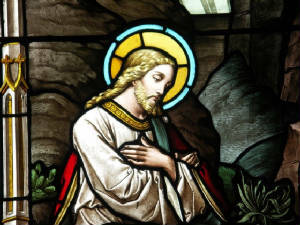 In popular modern usage-even within secular circles-the term usually refers explicitly to Jesus of Nazareth. 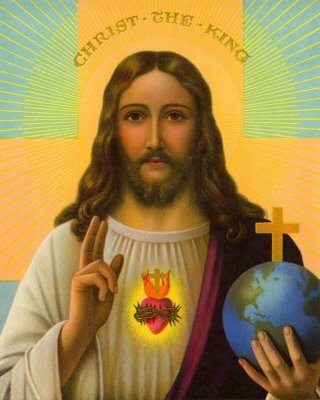 The word is used as a title, hence its common reciprocal use Christ Jesus, meaning "The Messiah Jesus". Followers of Jesus became known as Christians (as in Acts 11:26) because they believed Jesus to be the Christ, or Christos, or Christian Messiah, prophesied in the Old Testament - therefore they often call him Jesus Christ, meaning Jesus is the Christos. 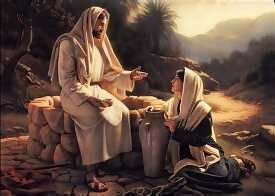 Since the Apostolic Age, Jesus has never been accepted by most of the Jews as their Messiah. Many Christians, however, await the Second Coming of Christ when they believe he will fulfill the major rest of the Christian Messianic prophecy. The area of Christian theology focusing on the identity, life, teachings and works of Jesus, is known as Christology. 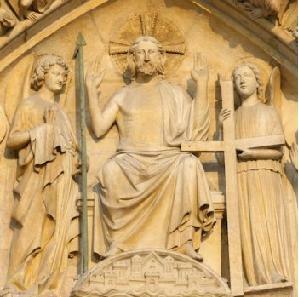 Christians consider Jesus the Christ and believe that through his death and resurrection, humans can be reconciled to God and thereby are offered salvation and the promise of eternal life. 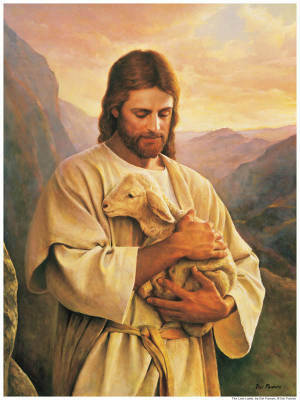 These teachings emphasize that as the willing Lamb of God, Jesus chose to suffer in Calvary as a sign of his full obedience to the will of the Eternal Father, as an "agent and servant of God". "But who do you say that I am? 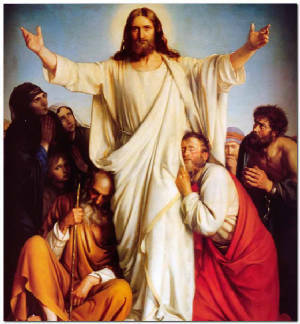 Only Simon Peter answered him: You are the Christ, the Son of the living God" - Matthew 16:15-16" Christians generally consider Jesus to be the Christ, the long awaited Messiah, as well as the one and only Son of God. The opening words in the Gospel of Mark (1:1), namely "The beginning of the gospel of Jesus Christ, the Son of God" provide Jesus with the two distinct attributions of Christ and the Son of God. The divinity being again re-affirmed in Mark 1:11. Matthew 1:1 also starts by calling Jesus Christ and Matthew 1:16 explains it again with: "Jesus, who is called Christ". 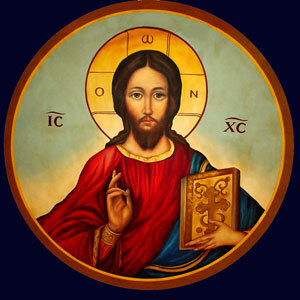 In the Letters of Saint Paul the word Christ is so closely associated with Jesus that it is apparent that for the early Christians there is no need to claim that Jesus is Christ, for that is considered widely accepted among them. Hence Paul can use the term Christos with no confusion as to who it refers to, and as in 1 Corinthians 4:15 and Romans 12:5 he can use expressions such as "in Christ" to refer to the followers of Jesus. 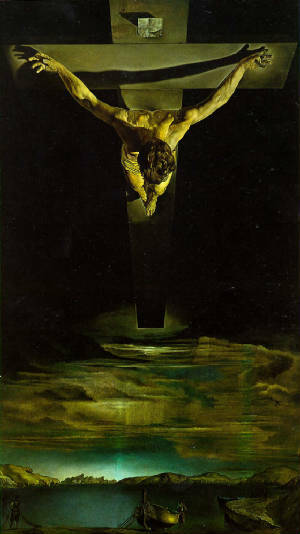 In Christology, the conception that the Christ is the Logos (i.e. 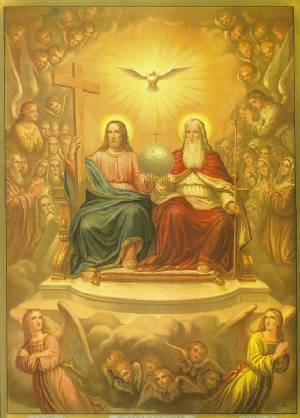 The Word) has been important in establishing the doctrine of the divinity of Christ and his position as God the Son in the Trinity as set forth in the Chalcedonian Creed. The conception derives from the opening of the Gospel of John, commonly translated into English as: "In the beginning was the Word, and the Word was with God, and the Word was God." In the original Greek, Logos (λ?γος) is used for "Word," and in theological discourse, this is often left untranslated. 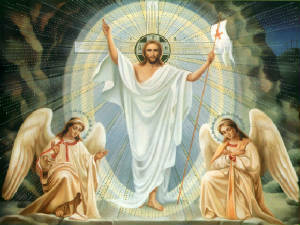 The pre-existence of Christ refers to the doctrine of the personal existence of Christ before his conception. One of the relevant Bible passages is John 1:1-18 where, in the Trinitarian view, Christ is identified with a pre-existent divine hypostasis called the Logos or Word. However, other non-Trinitarian views question the aspect of personal pre-existence or question the aspect of divinity, or both. This doctrine is reiterated in John 17:5 when Jesus refers to the glory which he had with the Father "before the world was" during the Farewell discourse. John 17:24 also refers to the Father loving Jesus "before the foundation of the world". 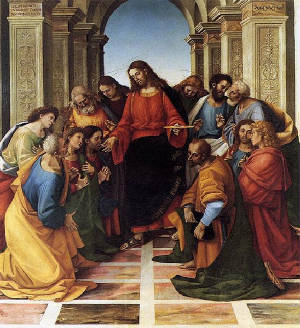 Following the Apostolic Age, from the 2nd century onwards, a number of controversies developed about how the human and divine are related within the person of Jesus. 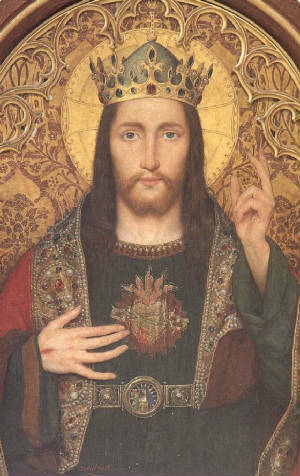 Eventually in 451 the Hypostatic union was decreed, namely that Jesus is both fully divine and fully human. However, differences among Christian denominations continued thereafter. "But who do you say that I am? Only Simon and Peter answered him: You are the Christ, the Son of the living God" - Matthew 16:15-16"
Christians generally consider Jesus to be the Christ, the long awaited Messiah, as well as the one and only Son of God. The opening words in the Gospel of Mark (1:1), namely "The beginning of the gospel of Jesus Christ, the Son of God" provide Jesus with the two distinct attributions of Christ and the Son of God. The divinity being again re-affirmed in Mark 1:11. Matthew 1:1 also starts by calling Jesus Christ and Matthew 1:16 explains it again with: "Jesus, who is called Christ". 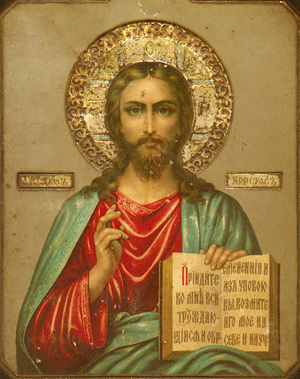 In the Letters of Saint Paul the word Christ is so closely associated with Jesus that it is apparent that for the early Christians there is no need to claim that Jesus is Christ, for that is considered widely accepted among them. Hence Paul can use the term Christos with no confusion as to who it refers to, and as in 1Corinthians 4:15 and Romans 12:5 he can use expressions such as "in Christ" to refer to the followers of Jesus. 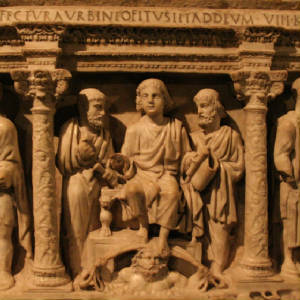 Following the Apostolic Age, from the 2nd century onwards, a number of controversies developed about how the human and divine are related within the person of Jesus. Eventually in 451 the Hypostatic union was decreed, namely that Jesus is both fully divine and fully human. 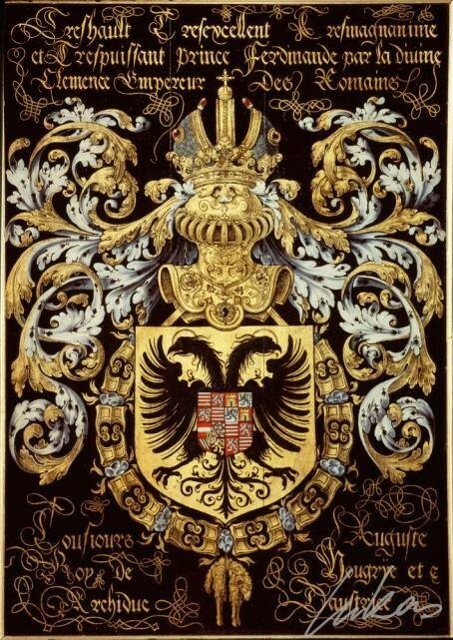 However, differences among Christian denominations continued thereafter - see the article on Christology for details. Apostle Paul viewed the birth of Jesus as an event of cosmic significance which brought forth a "new man" who undid the damage caused by the fall of the first man, Adam. Just as the Johannine view of Jesus as the incarnate Logos proclaims the universal relevance of his birth, the Pauline perspective emphasizes the birth of a new man and a new world in the birth of Jesus. Paul's eschatological view of Jesus counter-positions him as a new man of morality and obedience, in contrast to Adam. Unlike Adam, the new man born in Jesus obeys God and ushers in a world of morality and salvation. 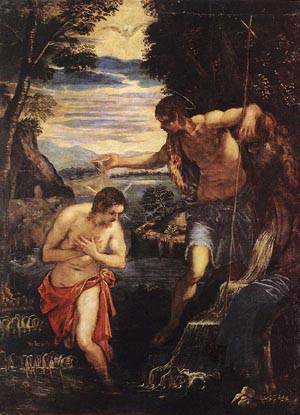 In the Pauline view, Adam is positioned as the first man and Jesus as the second: Adam, having corrupted himself by his disobedience, also infected humanity and left it with a curse as inheritance. The birth of Jesus, on the other hand, counter-balanced the fall of Adam, bringing forth redemption and repairing the damage done by Adam. In the 2nd century Church Father Irenaeus writes: "When He became incarnate and was made man, He commenced afresh the long line of human beings, and furnished us, in a brief, comprehensive manner, with salvation; so that what we had lost in Adam - namely to be according to the image and likeness of God- that we might recover in Christ Jesus." In patristic theology, Paul's contrasting of Jesus as the new man versus Adam provided a framework for discussing the uniqueness of the birth of Jesus and the ensuing events of his life. The Nativity of Jesus thus began to serve as the starting point for "cosmic Christology" in which the birth, life and Resurrection of Jesus have universal implications. The concept of Jesus as the "new man" repeats in the cycle of birth and re-birth of Jesus from his Nativity to his Resurrection: following his birth, through his morality and obedience to the Father, Jesus began a new harmony in the relationship between God the Father and man. 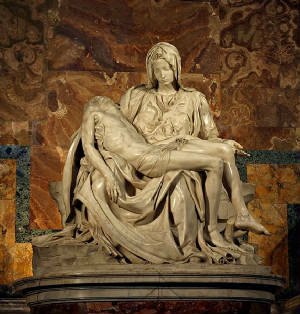 The Nativity and Resurrection of Jesus thus created the author and exemplar of a new humanity. In this view, the birth, death and Resurrection of Jesus brought about salvation, undoing the damage of Adam. 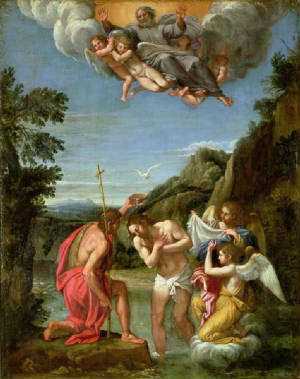 In the Canonical gospels, the Ministry of Jesus begins with his Baptism in the countryside of Judea, near the River Jordan and ends in Jerusalem, following the Last Supper. The Gospel of Luke (3:23) states that Jesus was "about 30 years of age" at the start of his ministry. The date of the start of his ministry has been estimated at around 27-29 AD/CE and the end in the range 30-36 AD/CE. Jesus' Early Galilean ministry begins when after his Baptism, he goes back to Galilee from his time in the Judean desert. In this early period he preaches around Galilee and recruits his first disciples who begin to travel with him and eventually form the core of the early Church. The Major Galilean ministry which begins in Matthew 8 includes the Commissioning the twelve Apostles, and covers most of the ministry of Jesus in Galilee. The Final Galilean ministry begins after the death of John the Baptist as Jesus prepares to go to Jerusalem. 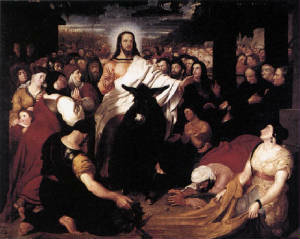 In the Later Judean ministry Jesus starts his final journey to Jerusalem through Judea. As Jesus travels towards Jerusalem, in the Later Perean ministry, about one third the way down from the Sea of Galilee along the River Jordan, he returns to the area where he was baptized. The Final ministry in Jerusalem is sometimes called the Passion Week and begins with the Jesus' triumphal entry into Jerusalem. The gospels provide more details about the final ministry than the other periods, devoting about one third of their text to the last week of the life of Jesus in Jerusalem. 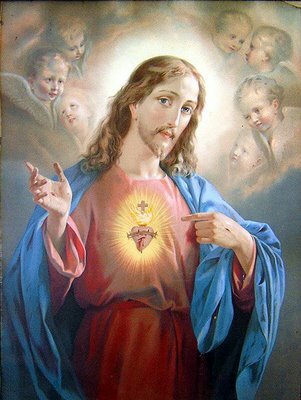 "The words that I say unto you I speak not from myself: but the Father who dwells in me does his works." 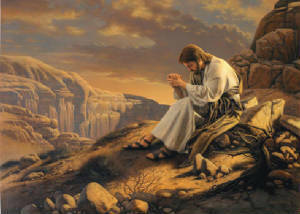 - John 14:10" In the New Testament the teachings of Jesus are presented in terms of his "words and works". 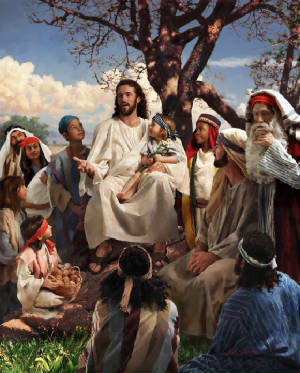 The words of Jesus include a number of sermons, as well as parables that appear throughout the narrative of the Synoptic Gospels (the gospel of John includes no parables). The works include the miracles and other acts performed during his ministry. Although the Canonical Gospels are the major source of the teachings of Jesus, the Pauline Epistles, which were likely written decades before the gospels, provide some of the earliest written accounts of the teachings of Jesus. 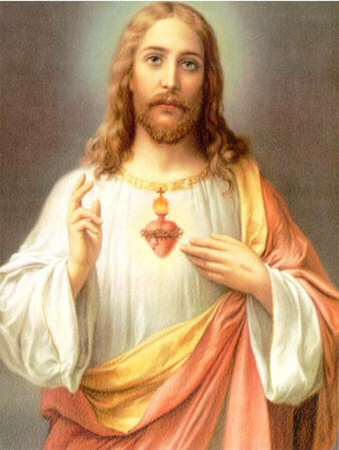 The New Testament does not present the teachings of Jesus as merely his own preachings, but equates the words of Jesus with divine revelation, with John the Baptist stating in John 3:34: "he whom God hath sent speaketh the words of God" and Jesus stating in John 7:16: "My teaching is not mine, but his that sent me". 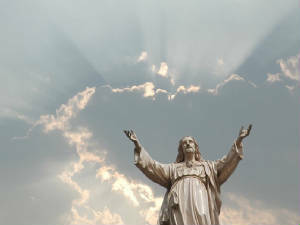 In Matthew 11:27 Jesus claims divine knowledge, stating: "No one knows the Son except the Father and no one knows the Father except the Son", asserting the mutual knowledge he has with the Father. 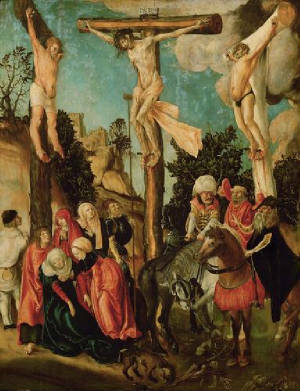 The gospels include a number of discourses by Jesus on specific occasions, such as the Farewell discourse delivered after the Last Supper, the night before his crucifixion. 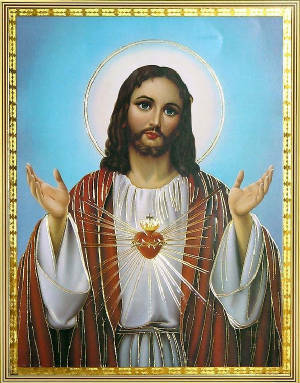 Although some of the teachings of Jesus are reported as taking place within the formal atmosphere of a synagogue (e.g. in Matthew 4:23) many of the discourses are more like conversations than formal lectures. The Gospel of Matthew has a structured set of sermons, often grouped as the Five Discourses of Matthew which present many of the key teachings of Jesus. Each of the five discourses has some parallel passages in the Gospel of Mark or the Gospel of Luke. The five discourses in Matthew begin with the Sermon on the Mount, which encapsulates many of the moral teaching of Jesus and which is one of the best known and most quoted elements of the New Testament. The Sermon on the Mount includes the Beatitudes which describe the character of the people of the Kingdom of God, expressed as "blessings". The Beatitudes focus on love and humility rather than force and exaction and echo the key ideals of Jesus' teachings on spirituality and compassion. The other discourses in Matthew include the Missionary Discourse in Matthew 10 and the Discourse on the Church in Matthew 18, providing instructions to the disciples and laying the foundation of the codes of conduct for the anticipated community of followers. 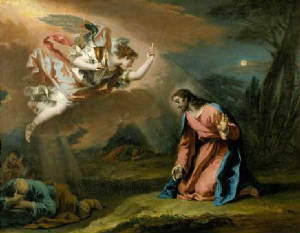 In the 19th century, Lisco and Fairbairn stated that in the parables of Jesus, "the image borrowed from the visible world is accompanied by a truth from the invisible (spiritual) world" and that the parables of Jesus are not "mere similitudes which serve the purpose of illustration, but are internal analogies where nature becomes a witness for the spiritual world". Similarly, in the 20th century, calling a parable "an earthly story with a heavenly meaning", William Barclay states that the parables of Jesus use familiar examples to lead men's minds towards heavenly concepts. He suggests that Jesus did not form his parables merely as analogies but based on an "inward affinity between the natural and the spiritual order." One characteristic shared among all miracles of Jesus in the Gospel accounts is that he delivered benefits freely and never requested or accepted any form of payment for his healing miracles, unlike some high priests of his time who charged those who were healed. 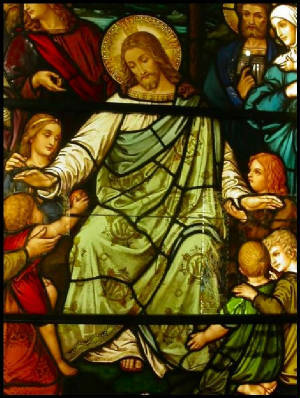 In Matthew 10:8 he advised his disciples to heal the sick without payment and stated: "freely ye received, freely give." Christians in general believe that Jesus' miracles were actual historical events and that his miraculous works were an important part of his life, attesting to his divinity and the Hypostatic union, i.e., the dual natures of Jesus as God and Man. Christians believe that while Jesus' experiences of hunger, weariness, and death were evidences of his humanity, the miracles were evidences of his deity. 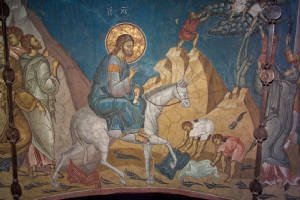 Since according to the Gospel of John[20:30] it was impossible to narrate all of the miracles performed by Jesus, the Catholic Encyclopedia states that the miracles presented in the Gospels were selected for a twofold reason: first for the manifestation of God's glory, and then for their evidential value. Jesus referred to his "works" as evidences of his mission and his divinity, and in John 5:36 he declared that his miracles have greater evidential value than the testimony of John the Baptist. 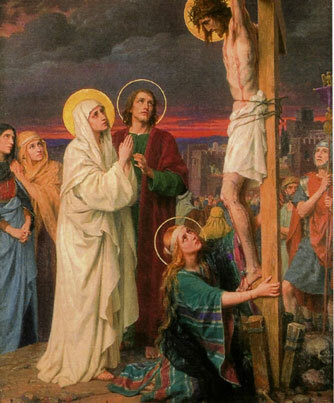 In Johannine "agent Christology" the submission of Jesus to crucifixion is a sacrifice made as an agent of God or servant of God, for the sake of eventual victory. 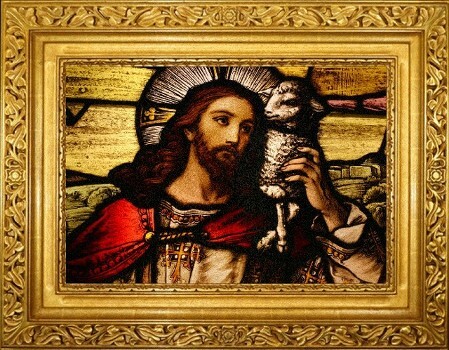 This builds on the salvific theme of the Gospel of John which begins in John 1:36 with John the Baptist's proclamation: "The Lamb of God who takes away the sins of the world". 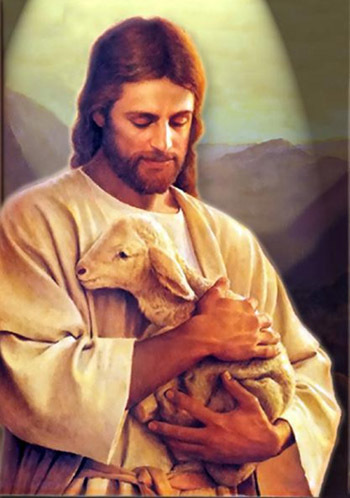 Further reinforcement of the concept is provided in Revelation 21:14 where the "lamb slain but standing" is the only one worthy of handling the scroll (i.e. the book) containing the names of those who are to be saved. A central element in the Christology presented in the Acts of the Apostles is the affirmation of the belief that the death of Jesus by crucifixion happened "with the foreknowledge of God, according to a definite plan". 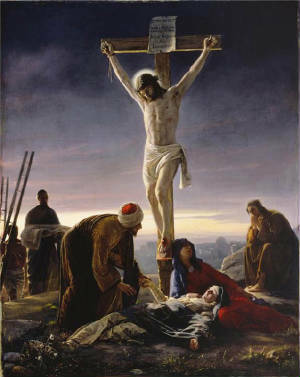 In this view, as in Acts 2:23, the cross is not viewed as a scandal, for the crucifixion of Jesus "at the hands of the lawless" is viewed as the fulfilment of the plan of God. Paul's Christology has a specific focus on the death and resurrection of Jesus. 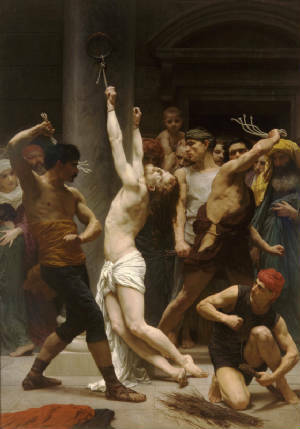 For Paul, the crucifixion of Jesus is directly related to his resurrection and the term "the cross of Christ" used in Galatians 6:12 may be viewed as his abbreviation of the message of the gospels. For Paul, the crucifixion of Jesus was not an isolated event in history, but a cosmic event with significant eschatological consequences, as in 1 Corinthians 2:8. In the Pauline view, Jesus, obedient to the point of death (Philippians 2:8) died "at the right time" (Romans 4:25) based on the plan of God. For Paul the "power of the cross" is not separable from the Resurrection of Jesus. 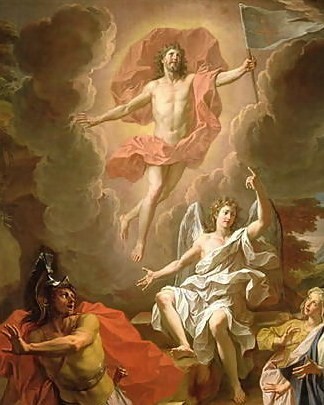 But Christ really has been raised from the dead. He is the first of all those who will rise. Death came because of what a man did. Rising from the dead also comes because of what a man did. Because of Adam, all people die. So because of Christ, all will be made alive. If the cross stands at the center of Paul's theology, so does the Resurrection: unless the one died the death of all, the all would have little to celebrate in the resurrection of the one. Paul taught that, just as Christians share in Jesus' death in baptism, so they will share in his resurrection for Jesus was designated the Son of God by his resurrection. 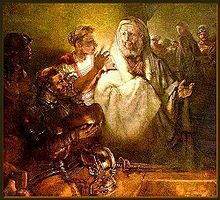 [Rom 1:4] Paul's views went against the thoughts of the Greek philosophers to whom a bodily resurrection meant a new imprisonment in a corporeal body, which was what they wanted to avoid; given that for them the corporeal and the material fettered the spirit. 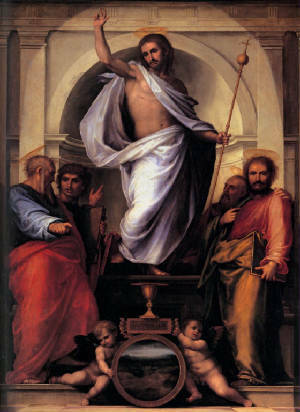 At the same time, Paul believed that the newly resurrected body would be a heavenly body; immortal, glorified, powerful and pneumatic in contrast to an earthly body, which is mortal, dishonored, weak and psychic. 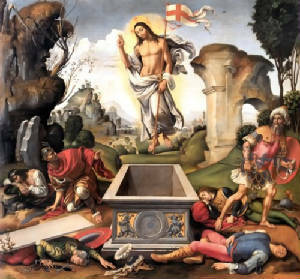 According to theologian Peter Carnley, the resurrection of Jesus was different from the Resurrection of Lazarus as: "In the case of Lazarus, the stone was rolled away so that he could walk out.... the raised Christ didn't have to have the stone rolled away, because he is transformed and can appear anywhere, at any time." The Apostolic Fathers, discussed the death and resurrection of Jesus, including Ignatius (50-115), Polycarp, and Justin Martyr (100-165). 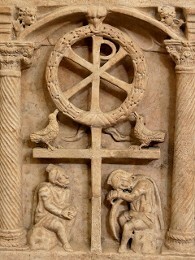 Following the conversion of Constantine and the liberating Edict of Milan in 313, the ecumenical councils of the 4th, 5th and 6th centuries, that focused on Christology helped shape the Christian understanding of the redemptive nature of Resurrection, and influenced both the development of its iconography, and its use within Liturgy.